An East Tennessee native, Alyssa is the Digital Communications Coordinator for TEAM. 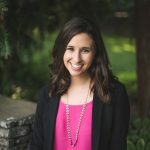 In her role, she loves engaging and communicating through social media and other digital platforms what the Lord is up to throughout the world and with TEAM. Christmas is more than a holiday. It’s a time when we remember that Christ came to Earth so the whole world could experience true joy and lasting relationship with Him. 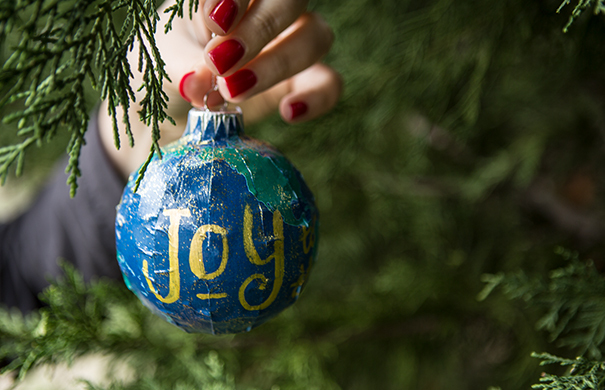 This year, we want to help you create a tangible reminder of why we celebrate. 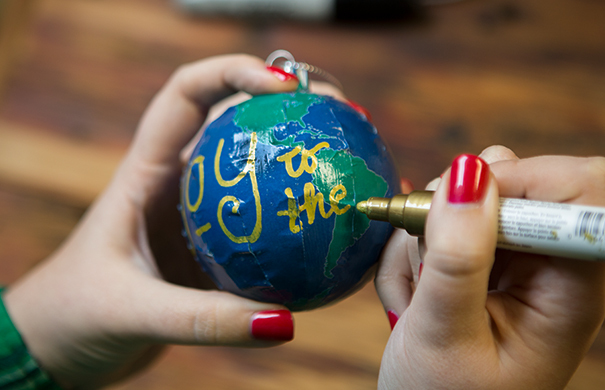 This ornament is also a great reminder to pray for those all over the world who have yet to hear the Good News — and the missionaries sharing it. Ready? Let’s get started! 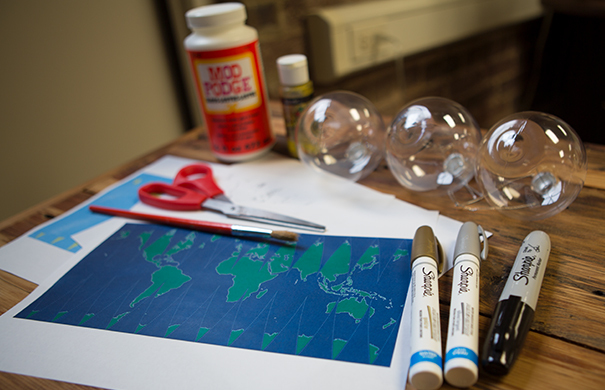 This craft is perfect for the whole family, ages 6 and up. Download instructions and templates here. 1. 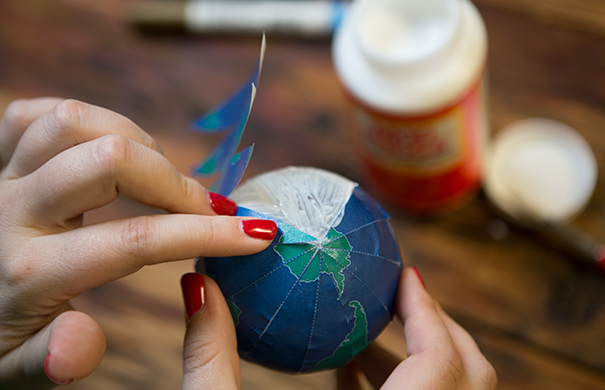 Print out your template correspondent to your ornament size and cut it out along the dotted lines. The spikes are what allow the paper to go around the ornament. 2. Cut the template into thirds along the dotted lines. This will make it easier to paste onto the ornament. 3. 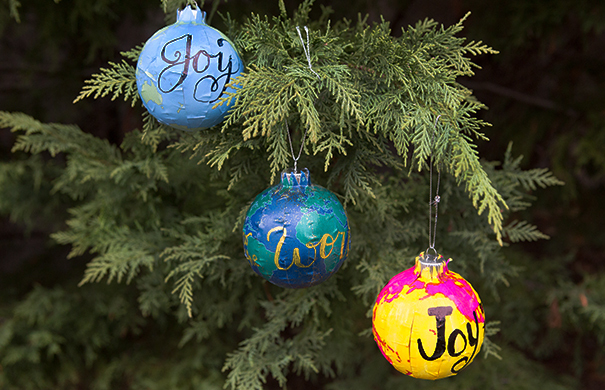 Paint the Mod Podge onto the ornament. Align the “equator” with the center of the ornament and smooth the top and bottom of the first spike to the “north pole” and “south pole.” Repeat with each spike, smoothing out bumps the best you can as you go. 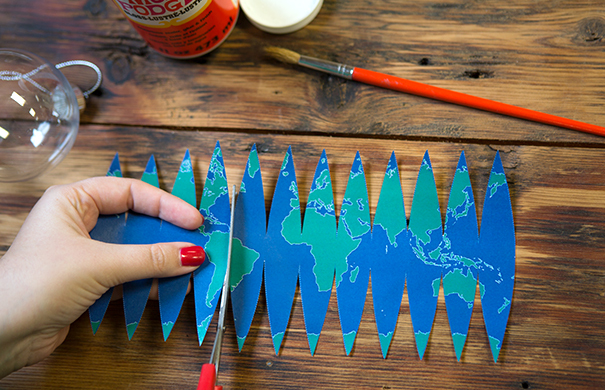 Pro tip: Work quickly and paint the Mod Podge one section at a time because it dries fast! 4. 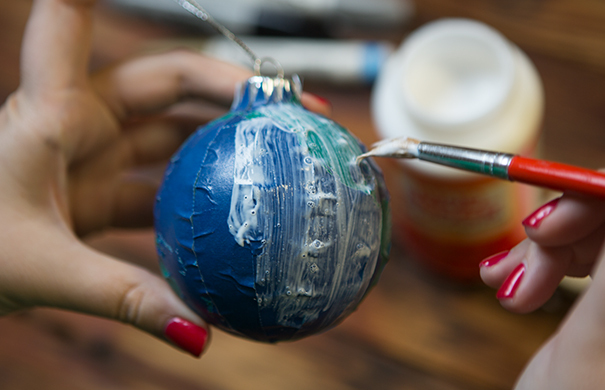 Once your template is pasted, coat the ornament with one layer of Mod Podge and let it dry for one hour. 6. 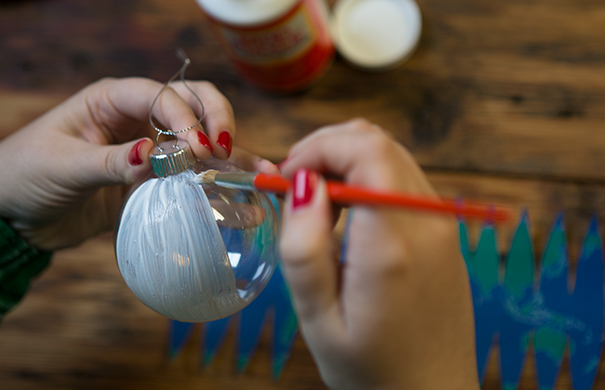 For some extra joy, add a light coat of glitter paint as your last step! 7. Hang on your tree and enjoy for years to come. 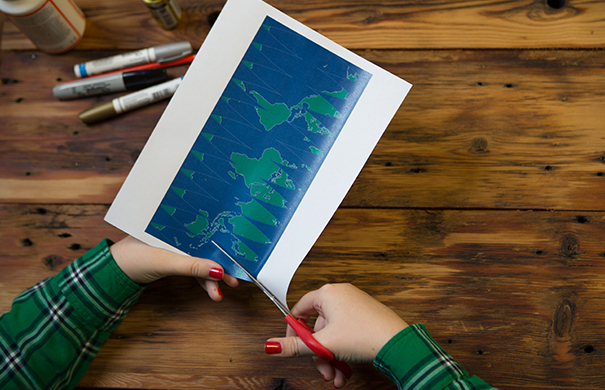 All three templates are pictured here — light blue, dark blue, color-your-own. Let your kids pick their favorite colors for the color-your-own template! Use this as an opportunity to talk to your kids about how people around the world have yet to hear the Gospel. 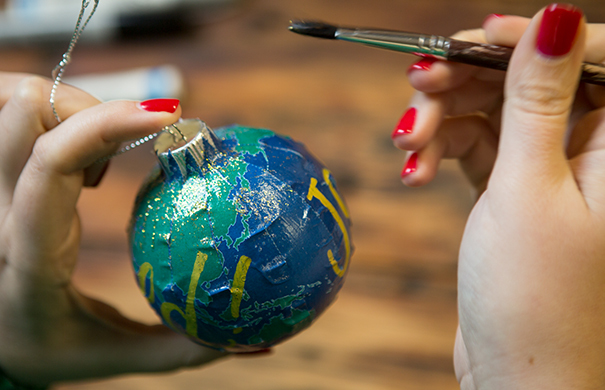 Pray together as you’re making the ornament. Pray that God will be with those who are sharing the Good News. And pray for those who have yet to hear it, that their hearts and eyes will be opened so they can experience true joy. You can also download the instructions and templates here. For more missions-minded inspiration all year long, check out TEAM’s Pinterest boards for a curated collection of resources to help you thrive at home and abroad.